Vincent Lui is the Managing Director of Rhapsody Ventures. He has over 15 years of entrepreneurial & operating experience and broad domain knowledge in network infrastructure technologies. Prior to forming Rhapsody Ventures, Vincent was VP of Strategy & Corporate Business Development at VSS Monitoring, and wore multiple other hats – including business development, technology alliances, corporate marketing and venture financing ($20M by Battery Ventures in 2010) – resulted in over 50% year-over-year growth during his tenure. Vincent was instrumental to the acquisition of VSS in 2012 by Danaher Corporation (NYSE: DHR), a $60 billion Fortune 150 company. Post acquisition, Vincent led strategic planning efforts and helped coordinated the implementation of Danaher Business Systems. 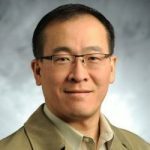 Vincent began his career at Lucent Technologies (Alcatel-Lucent/Nokia), and later took on key roles in a number of startups including homeFiber (later became Broadand Rhapsody), Photonic Power Systems (acquired by JDSU, now Viavi), Cleanpoint and Display Photonics. In 2006, he joined KLM Capital, a US-China earlystage venture fund, responsible for investment due diligence and portfolio management. He was board observer for portfolio companies including Auvitek (acquired by Microtune, now CSR), Opulan (acquired by Atheros, now Qualcomm), and Novera Optics (acquired by LG-Nortel, now Ericsson). In addition to Rhapsody Ventures, Vincent currently advises and invests in several early stage companies including Saisei Networks, Flying Cloud, Skalera, Creanord, Symbid and iFunding. Vincent holds a B.S. in Electrical & Computer Engineering and B.A. in Music from UC San Diego, M.S. in Management Science & Engineering from Stanford University, and studied in the Doctorate of Business Administration at Newcastle University and Grenoble Ecole de Management. 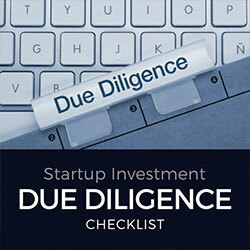 If you decide your startup requires investor support, be prepared for an intensive due diligence process and have any and all expected documentation ready and well organized. A startups lack of knowledge of what is expected of the due diligence process or being ill prepared can turn off potential investors. Here is a standard two-part list of company information that most institutional investors would look for during the due diligence process. It is an extensive list but not exhaustive and all applicable depending on the company. Founders & management team should consider preparing and organizing themselves with the below to make the process as smooth as possible. Board Resolutions and Reports – All signed resolutions (including written consents) of or reports prepared for the Board of Directors or any comparable governing body of the Company, as applicable, and any of their respective committees, including copies of any written notices or waivers thereof. Shareholder Minutes – Minutes of all meetings and all signed resolutions (including written consents) of the shareholders, members or partners of the Company, as applicable, including copies of any written notices or waivers thereof. Press Releases – For the past three years, all news or press releases issued by or with respect to the Company. Foreign Qualifications – List of all domestic and foreign jurisdictions in which the Company maintains an office, owns or leases property, where employees are located, is otherwise qualified to do business as a foreign entity, or is required to be qualified to do business as a foreign entity. Organizational Charts – Internal operational manuals and organization charts. Affiliations – Summary of business and personal relationships and affiliations among directors, officers, shareholders, creditors, customers, suppliers and other business affiliates. Communications with Shareholders – All reports and any other communications to stockholders. Stockholders or Members – List of current stockholders or members of the Company, as applicable. Books and Ledgers – Stock books and/or ledgers of the Company. Options – Schedule of outstanding options, warrants or any other contracts, commitments, agreements or promises, oral or written, with respect to the issuance of, subscription for, purchase of, or sale or transfer of, any securities of the Company (including, where applicable, grantee, dates of issuance, exercise price, vesting term, duration, etc.). Capitalization Table – List of authorized, issued and outstanding securities of the Company (by type of security and on an as converted basis, including stockholder names, stockholder tax identification numbers, dates of issuances, consideration received, number of vested and unvested shares and vesting schedules). Indicate if vesting of any such securities will accelerate on a merger or change in control of the Company. Other Securities – Copies of all other convertible securities of the Company. Encumbrances – Details of any charges or other encumbrances or claims relating to any securities of the Company. Certain Agreements – Voting agreements, voting trusts, redemption agreements, stockholder agreements, registration rights agreements, restrictive agreements, stock purchase and repurchase agreements, stock restriction agreements, and other similar agreements, contracts or commitments to which the Company or any of its directors, officers and/or stockholders is a party. Purchase Agreements and Memoranda – Agreements for the purchase of securities from the Company and any private placement memoranda or offering circulars. Other Agreements – Other contracts or agreements relating to the Company’s securities, including broker/dealer or selling agent agreements. Perquisites – Details of Board and/or management perquisites and similar arrangements. Receivables/Payables – Documents pertaining to any receivables from or payables to any director, officer, partner, stockholder or affiliate of the Company or any affiliate of any of the foregoing. Other Agreements – All agreements (including guaranties) with, and a description of all transactions between the Company and any current or former officers, directors, stockholders and partners of the Company or any affiliate of any of the foregoing. Bankruptcy – Details of any bankruptcy or insolvency of any of the shareholders or directors of the Company, and details of any insolvency of a company or other entity of which any of the directors was a director, officer or shareholder. Borrowings – Documents and agreements evidencing borrowings, whether secured or unsecured, or other indebtedness (long-term or short-term), including indentures, credit or loan agreements, debentures, commitment letters, letters of credit, etc., relating to any outstanding or available long-term or short-term debt, including amendments thereto and any related instruments granting security interests. Debt Schedule – Debt schedule identifying all short-term and long-term debt and capital lease obligations with principal amounts, interest rates, balances outstanding and maturity dates. Financing Arrangements – Documents and agreements evidencing other material financing arrangements, installment purchases, etc. Investor Financing – All documents relating to financings with investors, including any accredited investor questionnaires, if applicable. Financing Statements – List and copies of all financing statements currently in effect. Liens and Encumbrances – Schedule of liens and encumbrances against any of the Company’s assets or stock (whether or not of public record). Sureties – Documents and agreements evidencing surety and other bond arrangements. Company Loans – List and documentation of all loans made by the Company, including loans to officers, directors and employees. Correspondence with Lenders – Correspondence with the Company’s lenders regarding any default or alleged default. Customer Contracts – All agreements with customers currently in effect or under consideration and a schedule of major customers for each product line, giving annual dollar amounts sold (indicate if any are requirements contracts). Distributor Agreements – All agreements with distributors or sales representatives regarding the sale of the Company’s products or services. Operational Contracts – All agreements with dealers, suppliers and service providers involving more than $25,000; all reseller (including VARs, OEMs, dealers, sales representatives, etc. ), retail distribution (including service and support contracts, marketing agreements, etc. ), advertising, and related agreements involving more than $25,000; and schedule of major suppliers (indicate if any are sole source contracts), giving annual dollar amounts purchased. Development Contracts and Joint Venture Agreements – All agreements entered into out of the ordinary course of business, including consulting, development, capital commitments, technology sharing, cooperation, joint research, and joint venture agreements. Affiliates – All contracts, arrangements, plans, and understandings to which any director, officer, shareholder, partner, or other affiliate of the Company, or any affiliate of the foregoing, on the one hand, and the Company, on the other hand, are parties, including loans and guaranties. Employee Agreements – All employment contracts with management and other employees; deferred compensation agreements, severance agreements, settlement agreements, consulting agreements or any other agreements with any independent contractor or consultant (including information as to whether the consultant was previously an employee), and similar agreements; all non-competition agreements, non-solicitation agreements, non-piracy agreements, non-disclosure agreements, agreements containing restrictive covenants and similar agreements addressing the Company’s rights to inventions or other intellectual property; all indemnification agreements with employees, former employees or consultants and similar agreements; all employee or supervisor handbooks or manuals and similar agreements; and all conflicts of interest or ethics codes or policies and similar materials. Non-Competition and Confidentiality Agreements – Copies of all non-competition agreements, non-solicitation agreements, non-piracy agreements, secrecy agreements, non-disclosure agreements (in each case, other than those referred to in E(6) above) and standstill agreements to which the Company is a party. Operating Agreements – Copies of all operating agreements involving more than $25,000, including without limitation, agreements to package, store, deliver, or dispose of inventory. Brokerage, Agency, Consignment Agreements – Copies of all agreements involving more than $25,000 obligating the Company to carry on or facilitate business on behalf of another party, or, conversely, obligating another party to carry on or facilitate business on behalf of the Company. Service Agreements – Copies of all services agreements involving more than $25,000 (e.g., property maintenance, advertising, lodging, transportation, catering, landscaping, etc.). Standard Forms – Standard forms of customer agreements, distributor agreements, sales representative agreements, employment agreements, licensing agreements, leases, reseller agreements, dealer agreements, purchase orders, and sales orders used in connection with purchases, licensing, sales and leases. Government Contracts – All government contracts, samples of subcontracting forms, affirmative action plans and supporting data. Guarantees or Indemnifications – All guarantees of, and all indemnifications relating to, the Company’s obligations and all guarantees or indemnifications by the Company, any predecessor entity or its officers, directors or partners of the obligations of any other person or entity. Union Agreements and Labor Relations – Description and copy of any bargaining agreements or any other agreements involving a union at the Company and the date when any such agreement is open for renegotiation; description of labor unrest situations; all pending or threatened labor strikes or other labor trouble experienced by Company; description of any current or expected attempts to unionize; description of labor relationships, turnover experience and bargaining history; and grievance files. Consultants – List of all current consultants and independent contractors of the Company (including name, age, position and length of service), together with current compensation. Miscellaneous Material Contracts – All other material contracts not otherwise described herein with a remaining term in excess of one year or involving amounts in excess of $25,000 or rights or obligations of equivalent value. Current Litigation – Summaries of all litigation and dispute resolution; memoranda of all outstanding litigation and disputes and of all litigation or disputes settled or otherwise terminated, containing the following information: parties, venue, nature of proceeding, date commenced, and amount of damages or other relief sought; and access to all pleadings on file regarding such litigation and relevant insurance coverage. Contingent Liabilities – Summary of nature and amount of all unrecorded and contingent liabilities (including threatened claims and causes of action), warranty experience, products liability exposure, environmental contamination, employee problems, and material disputes with third parties; and copies of all relevant correspondence. Governmental Investigations – Summaries and memoranda relating to any governmental or administrative investigations, proceedings or arbitrations, whether pending, threatened or concluded, to which the Company is or was subject; and access to all relevant documentation regarding such investigations, proceedings and arbitrations. Consent Decrees – All consent decrees, court and administrative judgments and orders, settlements, injunctions, etc., requiring or prohibiting future activities of the Company. Legal Opinions – All opinions by counsel as to any pending litigation against the Company (including letters to auditors). Internal Investigations – Copies of any documents related to any internal investigation or review by the Company, including without limitation related to any actual or alleged misconduct by an employee, consultant, sales representative, distributor or other representative of the Company, regardless of whether such investigation or review resulted in a finding of wrongdoing. Employment Claims – Listing of all charges or claims filed against the Company with any administrative agency, including, without limitation, the Department of Labor, the Equal Employment Opportunity Commission, Occupational Safety and Health Administration, Social Security Administration, Unemployment Commission, Office of Federal Contract Compliance Programs or any state or local counterparts and any documents related to such charges or claims. State whether the property is owned or leased (whether as lessor or lessee) and list the entity or individual which holds the title or lease and describe the property, liens thereon, structures, lease provisions, use and location. Copies of all deeds, leases, mortgages, sales contracts, surveys, sublease contracts, appraisals, environmental studies, and with respect to leased properties, all notices of default under such leases and estoppel letters executed by the Company. Zoning information and records relating to zoning violations, approvals, special exceptions, and nonconforming uses. All existing real property interests, including without limitation rights of first refusal, etc., relating to any property listed in H.1.a above. Leases – Copy of all leases, licenses and similar agreements relating to real property, with all schedules and amendments thereto. Reports and Policies – All title and appraisal reports and title insurance policies with respect to any properties or assets of the Company. Other Leases – Copies of all leases to moveable property and personal property. Asset Lists – Copies of all asset lists, including a list of all assets not located on real property owned or leased by the Company. Trademarks – schedule of all foreign and domestic trademarks, service marks, logos, corporate names, trade names, and all applications to register (including intent-to-use applications), registrations, oppositions, cancellations or other proceedings challenging the ownership or validity of the marks used by the Company. Patents – schedule of all foreign and domestic patents, patent applications, inventions disclosures, and reexaminations, reissues, oppositions or other proceedings challenging the ownership or validity in connection therewith therewith. Copyrights – schedule of all registered copyrights and applications for copyright registration, material unregistered copyrights (including rights in software and databases) and all proceedings challenging ownership or validity in connection therewith. License Agreements – all agreements involving the transfer or right to use intellectual property rights to which the Company is a party, whether as licensor, sublicensor, licensee or sublicensee, including research, product development, software (including open source code), distribution and/or marketing. Company Policy for Registered IP – Company’s written policy and procedures for selecting, clearing, using and protecting trademarks; for selecting patent disclosures for patent protection; for preparing and prosecuting patent applications; enforcing patent rights and avoiding infringement of the rights of others; and protecting copyrighted materials. Confidentiality Agreements – confidentiality/non-disclosure agreements (or other agreements with non-disclosure terms) with employees and with any other persons, such as actual or potential consultants, developers, vendors or customers, with respect to proprietary information. Company Policy for Proprietary Information – Company’s written policy and procedures for protecting company confidential and trade secret information. Company Policy for Open Source Software – Company’s written policy and procedures for the use of open-source software and a listing of all open source licenses under which open source code is used or incorporated in Company’s software. Infringement Allegations – copies of all notices and correspondence (including to or from Company’s counsel) relating to allegations of infringement or misappropriation of: (i) third-party intellectual property rights by the Company; and (ii) the Company’s intellectual property rights by third parties. Detailed historical monthly balance sheets, income statements and cash flows for the last 3 years and the current YTD period (Please confirm that interim financial statements are prepared on the same basis as that used for the most recent audited statement. If not, what are the adjustments recorded or accounts reconciled only at year end?). Audited financials statements (if available) and management letters issued by auditors in respect of the audits. Copy of the most recent business plan and/or budget covering 2012-2016. Analysis of operating and general and administration expenses (and as a percentage of revenues) by significant category for the last three years and the current YTD period. Monthly financial reporting packages distributed to senior management. Summary of sales or purchases, sales, service arrangements to or from related parties including principal terms and whether at arms length (including inter-company receivables and payables balances). Include description of services provided by/to related parties. Orders, sales (in both $ & units) and gross margin by major product group, customer type and by geographic region for the last three years and the current YTD period. Description of non-recurring revenue (including large one-time orders), non-product revenue (royalty, licensing, trademark or patent revenues), and unusual and extraordinary items for the last three years and the current YTD period. Schedule showing firm order backlog, by product line as of the most current date and as of the comparable date in the preceding year (include estimated gross margin and expected sales timing of orders in backlog). Top 10 customers ranked by sales for each of the last three years and current YTD period. Listing of significant new customers and lost customers in the last three years. Bank reconciliations including bank statements for the current YTD period and previous three year end periods. Provide a listing of any restrictions on cash. Accounts receivable aging analysis and trends for last three years and the most recent available month. History of allowance for doubtful accounts balance, bad debt expense and write-offs, and reserves for sales returns, discounts, rebates, refunds, and credit memos in the last three years and the current available month. Inventory balances by location, major product group and type (raw materials, work in process, finished goods). Summary of inventory write-offs and basis used to develop obsolete and slow-moving inventory reserves, including any history of sales and write-offs of obsolete/overstock inventory. Summary of locations and descriptions of subcontracted manufacturing facilities. List of top 10 significant suppliers by purchase $ and detail of purchased supplies from each. List of any production/sales made under license or royalty agreements. Schedule of prepaid expenses and other long and short-term assets (including goodwill and intangibles and amortization criteria) including assessment of potential recovery. Schedule of fixed assets including date acquired, original cost, accumulated depreciation, net book value, and recent appraised value. Accounts payable aging schedule and significant accrued expense accounts for the last three years and the most recent available month. Details of customer deposits and any deferred revenues by type and customer for the last three years and the current YTD period. Warranty expense and sales returns history (expense and reserves) for the last three years and a description of how the warranty and sales returns reserves were developed. Summary of pending, threatened or asserted litigation claims and any legal accruals including contingent liabilities, product liability claims and outstanding supplier claims. Joint venture, partnership or trust agreements with respect to which the Company is a party. Detailed sales organizational views by resources, territories and accounts. Orders and sales by customer in each of last 3 years. Orders and sales by product in each of last 3 years. Orders and sales by geographical region in each of last 3 years. Orders and sales by vertical industry segment in each of last 3 years. Orders and sales in each of last 3 years by incumbent customers versus new customers. Orders and sales in each of last 3 years for existing products versus new products. Top 20 customers (by sales $) in each of the past 3 years, indicating per year sales and what products and services composed the $ amount. Most current sales operations report, inclusive of activities, forecasts and performance metrics. Most current sales funnel and composition, today and 1 year ago by product, region and industry segment. Past 12 month won/loss analysis by region, product and customer. Discounting trend over past 3 years. Top 10 forecasted opportunities for next 12 months. Detailed explanation of sales compensation plan. Outbound marketing budget and expenditures for past 3 years. Most current marketing operations report, inclusive of activities, forecasts and performance metrics. Detailed list of all patents, applications, trademarks and copyrights. List all previous / current legal and/or patent infringement situations (outbound and inbound). List of all contractors and their contractual rights to IP ownership. List of geographical patent protection issues. All trademarks and proof of registration along with any history of infringement disputes/actions. Provide detailed product documentation that includes feature descriptions, architecture and design, technical performance specifications and other relevant detail. Where applicable, give specific attention to demonstrated capability of the product(s) or solution(s) – describe the characteristics of the largest product deployment. List all current products and explain how long they have been available and what the evolution of features and timeline has been. List all products that have been de-emphasized or discontinued (EOLed) in each of the past 3 years and explain the rationale for the action. Indicate if the former product was replaced by a newer product. Provide strengths/weaknesses table for each product from a technology and competitive viewpoint and indicate plans and timelines to address shortcomings where appropriate. List of all 3rd party and open source dependencies and indicate IP right to use status. List all product CE compliance status and other regulatory agencies that are appropriate. Provide the previous 12 months of product defect and trouble ticket history by product, including arrival rate, closure rate, backlog 1 year ago, current backlog. Provide current product development roadmap that also identifies in-process versus future efforts. Provide view of current development status versus planned status, identify delayed efforts and provide explanation and countermeasures. Indicate if any product development effort has been capitalized, if so what is the resulting P&L impact. Detailed organizational views by resources, assignments, site, etc. Detailed view of R&D spending by product, segment, etc. List of all leased employees or independent contractors which includes ID number, name, job title, manager, annual base salary, annual bonus percentage, job function, department, date of hire, date assignment to complete, location, country, currency, name of agency. Copy of salary structures, compensation philosophy, methodology and implementation of structures. Policy and practice on general wage or salary increases and administration of program. List of all ex-pats, in-Pats and non-resident aliens by country in which they are working and their visa status. Detailed service and support (and operations) organizational (SSO) views by resources, territories and accounts. Most current SSO operations report, inclusive of activities, forecasts and performance metrics. Define the warranty coverage and period plans. Provide the most recent 3 customer satisfaction surveys or equivalent. Provide a customer list with the number of trouble tickets each has had in each of the prior 3 years and what the current state is. Provide delivery metrics, standard lead-times and yields by product model. List of facilities, leased or owned, addresses, and square footage used for Manufacturing. Expected changes in facilities requirements in the next 2 to 3 years. List major equipment expense required for the production and test processes. Leased, Owned, Age, estimated annual down time, etc. Expected 2 to 3 year annual capital budget and estimated annual maintenance. Provide details on Manufacturing and Finance systems (Oracle, SAP, etc.). Describe material planning and control process (MRP, Buy to Forecast, JIT, Supplier Managed Inv., Kanban, etc. ).